Its early Christmas in the Voxativ Acoustic Technologies laboratory. Here is their latest creation; The Voxativ AC-4Ф! 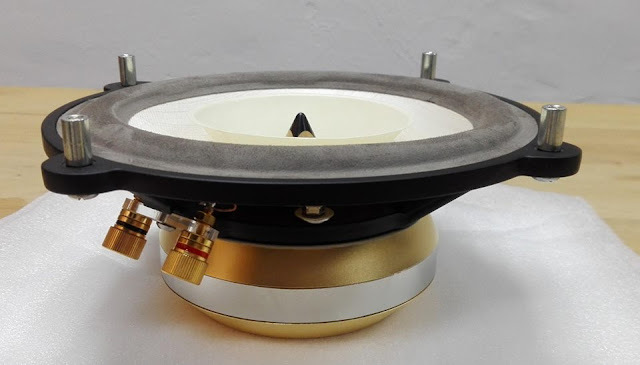 It's equipped with the proprietary Voxativ Endless Gap technology and gold plated magnet system with gold plated gap for limited impedance rising. An extreme lightweight cone is made out of real wood (2.4 grams = 0,0846575 Oz). The leather surrounds comes with 10 years warranty. Voxativ AC-4Ф aslo uses pure copper, gold-plated bindingposts.